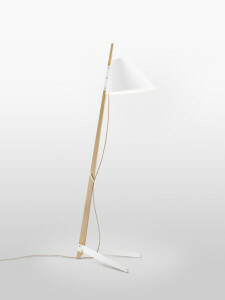 Kalmar Werkstaetten celebrates the historic lighting manufacturer Kalmar. Since the project’s launch in 2009, Kalmar Werkstaetten has issued designs based on drawings found in the Kalmar archives and selected for today’s residential and commercial interiors. Specifically, these lamps, chandeliers and wall lights highlight the Secession and Wiener Werkstaetten Movements. Collaborating with a choice group of emerging and established talents, Kalmar Werkstaetten is releasing light fixtures whose designs are chosen from the Kalmar archive and adapted for today’s private and public interiors. Billy proves that utilitarian design – the honest construction of simple materials – can both reflect an industrial heritage and perfectly accent a domestic environment. 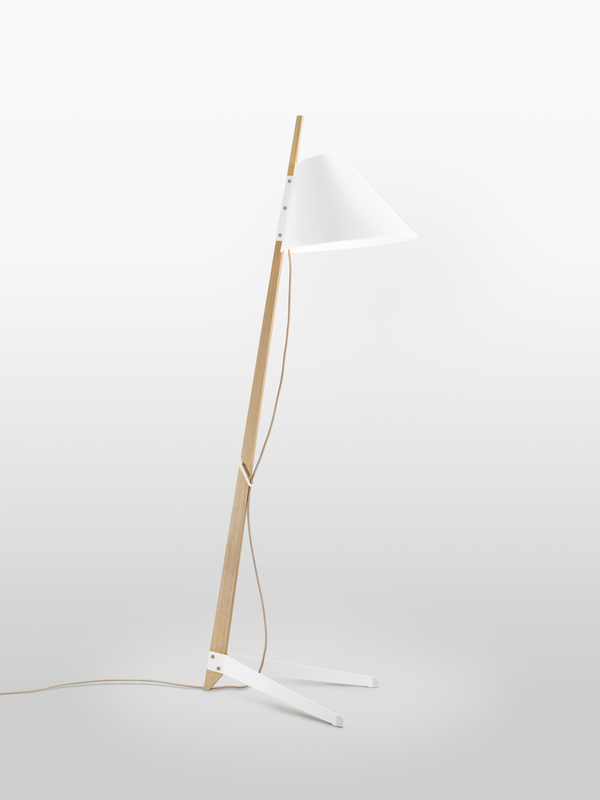 The floor lamp comprises four matt-lacquer metal pieces projecting from a hardwood stem, which is unstained but finished in a clear protective coating.